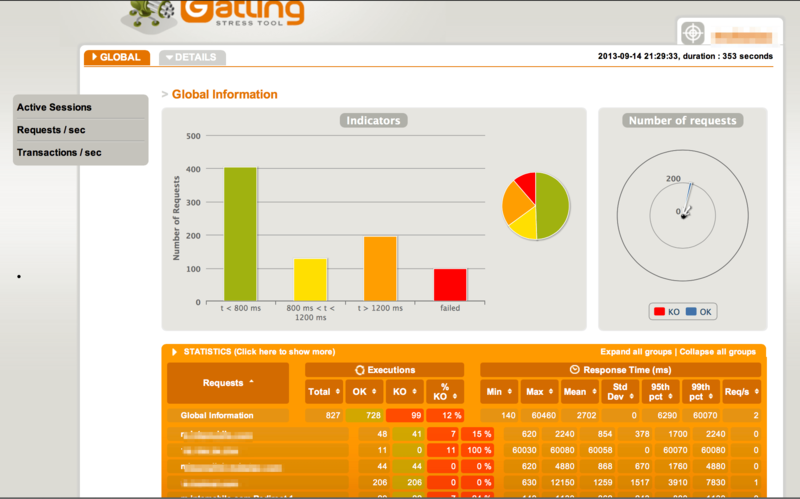 A new addition to my DevOps toolbox – the amazing Gatling Open Source Stress Testing tool. The tool came with a very high recommendation and certainly exceeded my expectations. My current project requires collection of HTTP logs, run a log replay against a new release of the App and finally generate report. The simulation report would qualify the App for release into production. HTTPerf: A very nifty and light tool for benchmarking from the command line. Reports are console based also. Not very useful for the job. After a quick look at the Gatling documentation and some minimal DSL changes I had my first simulation going. Thank you for your comment. However, the gatling support forums is probably a better place for your query.